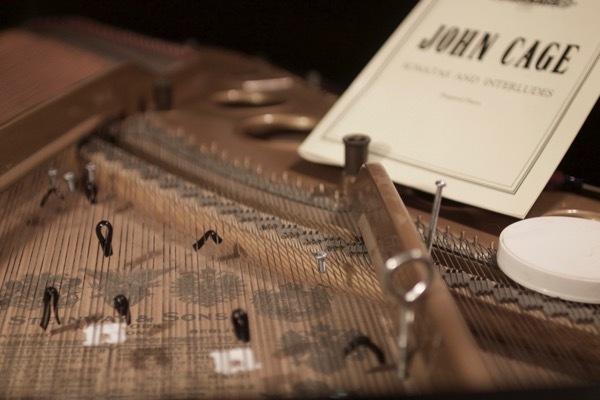 John Cage’s Sonatas and Interludes are composed for the prepared piano, in which dozens of various-sized bolts, screws, pieces of rubber and plastic are inserted between the piano strings, transforming the sound of the instrument into a complex variety of percussive sounds. Prior to the concert, Jesse Myers will give a lecture on Cage, his philosophies, the preparations, and the music of the Sonatas and Interludes. Come hear this monumental work in its entirety! Jesse Myers is a Seattle-based concert pianist, recording artist, and teacher. Renowned for his lively interpretations of the solo music of Beethoven and Rachmaninoff, Myers continues to perform a wide range of literature reaching beyond the standard repertoire. In addition to teaching and performing, he actively writes compositional analyses, album reviews, and shares recordings of classical piano on his blog. Jesse Myers has a Master of Music degree in Piano Performance from the University of Washington.